Exhibit Highlights Mock Convention Through the Years The exhibition, “The Mock Convention Through the Years,” is on display on the first floor of Leyburn Library between Sept. 15-29. Piotte has gathered photographs, posters, pins, T-shirts, newspaper clippings and much more, collected over the years from students, faculty and alumni. Kylie Piotte ’21, the director of operations for Mock Convention 2020, has organized a public exhibit highlighting Mock Convention’s history at Washington and Lee University. 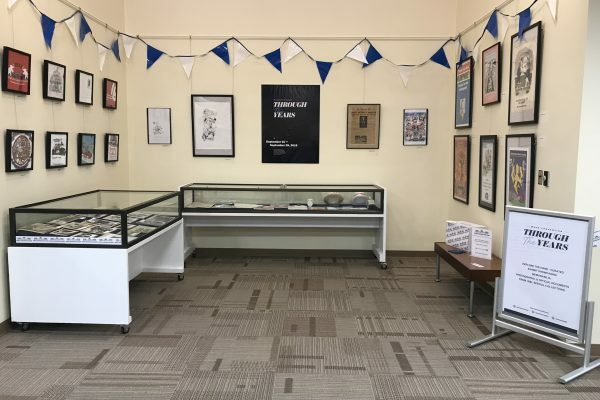 The exhibition, “The Mock Convention Through the Years,” is on display on the first floor of Leyburn Library between Sept. 15-29. Washington and Lee’s Mock Convention is a non-partisan student political research project that simulates the presidential nominating convention for the party not currently in control of the White House. It has taken place at W&L every four years since 1908 and has correctly predicted the nominee on 20 out of 26 occasions. With the help of W&L’s Special Collections and Archives, Piotte has gathered photographs, posters, pins, T-shirts, newspaper clippings and much more, collected over the years from students, faculty and alumni. The Operations Department of Mock Con, which consist of four student members, manages the non-political side of the event. 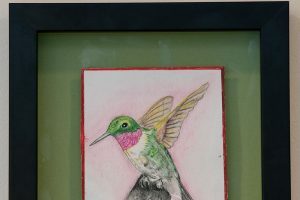 The idea for the exhibit came to Piotte last spring when she stumbled upon some old campaign posters from the late 60s tucked away in the corner of the Mock Con office. Special Collections quickly introduced her to their own Mock Convention vault.